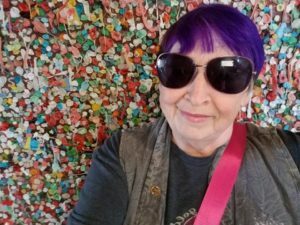 I was asked what tool I use that makes the writing process go more easily and efficiently, and my answer to that question would have to be Scrivener. I’m not the world’s most organized person and my writing process was sometimes scattered and chaotic. 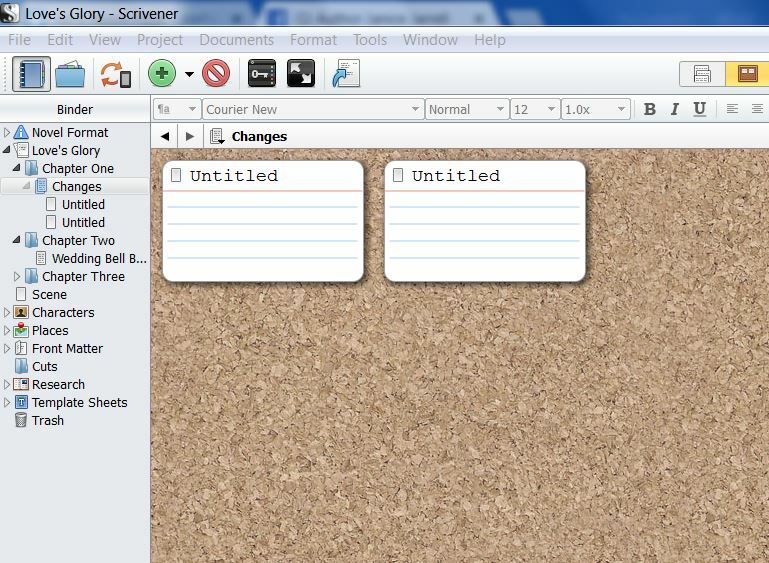 Scrivener helped me organize my thoughts and keep everything, and I do mean EVERYTHING, connected with my writing project in one, well-ordered place. Each of my chapters has it’s own folder and underneath that chapter I can use the corkboard feature to post any snippet of thought or sudden flash of insight I might have about where this chapter should lead. Under the chapter called Changes I’ve got two notes (which I’m not going to show you yet… ). Ideas that I can incorporate into that chapter at a later date. Helps me keep my thoughts organized. I can move them around and reorder them if the action sequence needs to be changed, and along with it’s hefty outlining component, it is a great brainstorming tool. I keep lots and lots of reference material in my Scrivener file for every book I write. I have a folder for research, , one for characters, one for places, one for cuts, and one which stores character sheet templates. I love the folder for cuts. It allows me to remove segments of a chapter which no longer seem to fit and store the scene in the ‘cuts’ folder in case I decide use it at a later date in a different chapter. Scrivener will compile your entire work into any number of formats from ebook to PDF and it offers many options for formatting your material. It even inserts front material and cover images. Scrivener allows you to create, organize, and edit, all in one piece of software with every single piece of information you might need all right there at your fingertips. You get the functions of a word processor with the added benefit of the organizational tools and information a writer might need, all in the same software. 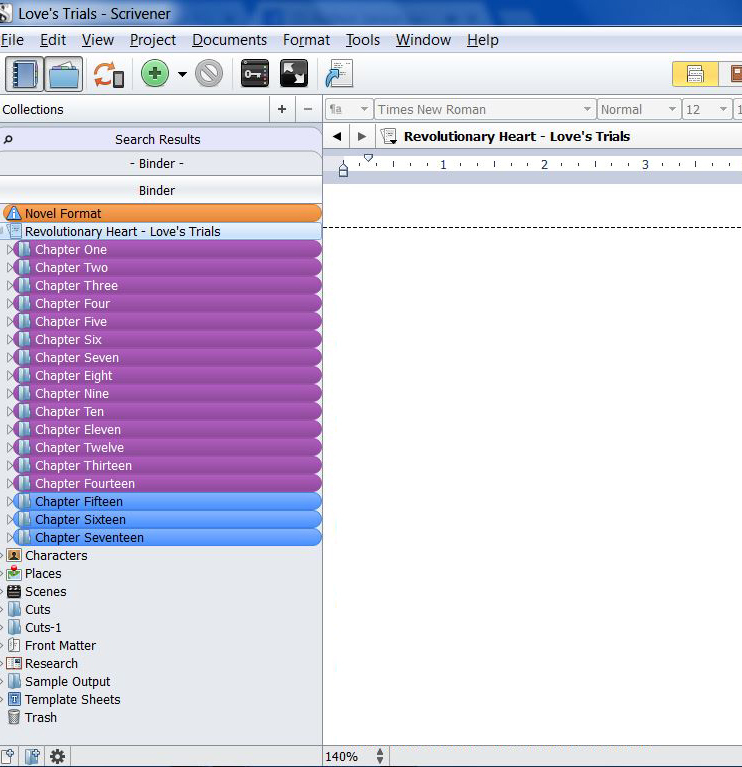 Scrivener also lets you label any component in your Scrivener file in any color you choose. The chapters marked in purple, for instance, are completed chapters while the ones labeled in blue are still in the hands of my editor. Scrivener, quite simply, handles everything. It keeps all the information pertinent to your ongoing work in one place. You can import and store everything in one convenient file. I’m not beginning to cover all the functions which Scrivener provides. I encourage you to download it for yourself and give it a try. Scrivener is available for both Mac and Windows and comes with a thirty-day trial period which allows you plenty of time to discover if it’s the right tool for you. I couldn’t get along without it and I think that once you’ve tried it, you’ll feel the same way. You can download Scrivener here! This entry was posted in Gay Romance by Janice. Bookmark the permalink.